The Federal Energy Regulatory Commission (FERC) has granted conditional approval for the proposed PennEast pipeline, a 120-mile pipeline that would bring fracked gas from northeast Pennsylvania across the Delaware River and into Hunterdon and Mercer Counties in New Jersey. 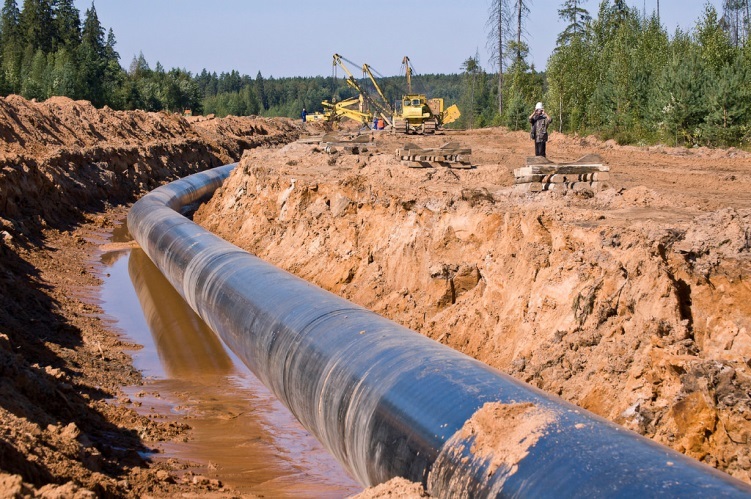 FERC's flawed certificate is subject to multiple legal challenges, and no matter what the pipeline must still be approved by the NJ Department of Environmental Protection (NJDEP) and other agencies. We can still stop this unneeded, damaging pipeline. NJDEP has already denied PennEast's premature and incomplete application once, and has the authority to stop it for good. If approved, PennEast would damage thousands of acres of tax-payer preserved open space, 38 of the cleanest streams in the state, and habitats for threatened and endangered species. It would increase harmful emissions and expose our families to the risk of deadly explosions and elevated arsenic levels in our drinking water. Clearly, FERC made the wrong decision. FERC ignored the serious concerns raised by bipartisan members of Congress, federal and state agencies, and thousands of citizens. While FERC got it wrong, New Jersey can get it right. Let your representatives and NJDEP know you’re counting on them to hold PennEast fully accountable to New Jersey’s more stringent laws and regulations. NJ has the power to stop PennEast, and you have the power to help. Yes, I would like to receive periodic updates and communications from New Jersey Conservation Foundation and ReThink Energy NJ. Tell NJDEP and your elected representatives to stop this unneeded, damaging pipeline! and to urge you to do everything in your power to stop it. This unneeded, damaging pipeline was conditionally approved by the Federal Energy Regulatory Commission (FERC), but FERC ignored evidence from the NJ Division of Rate Counsel and energy experts that there is no public need for this pipeline. And FERC failed to consider the significant impacts it would have on drinking water supplies, 38 high-quality C-1 streams, thousands of acres of preserved open space, and habitat for threatened and endangered species. PennEast still needs approval from the New Jersey Department of Environmental Protection (NJDEP) and the Delaware River Basin Commission (DRBC), and based on PennEast's track record of inaccurate and sloppy work, the agencies have ample reason to refuse approval. In February, NJDEP denied PennEast's application because the company failed to meet their basic requirements, including providing critical survey data and analyses. NJDEP must continue to hold PennEast to the letter of the law and regulations. States have the authority and responsibility to protect their water from damaging pipelines under the Clean Water Act. Federal courts recently upheld New York's denial of water quality permits for the proposed Constitution pipeline. I am counting on you to ensure that PennEast is held fully accountable to New Jersey's more stringent laws and regulations protecting our water and other natural resources. PennEast is now seeking to seize 147 private and public lands in New Jersey alone for a pipeline that would only benefit the companies behind it, while consumers foot the bill. This unneeded pipeline that threatens to contaminate our drinking water with arsenic, pollute our pristine streams, damage our open spaces, and threaten our health and safety should not be approved.